These are just a few of the puppies we have had in the last 6 months. When they find no one wants the puppies, they leave them at the gates of the refuge at night or early morning when no one will see them! 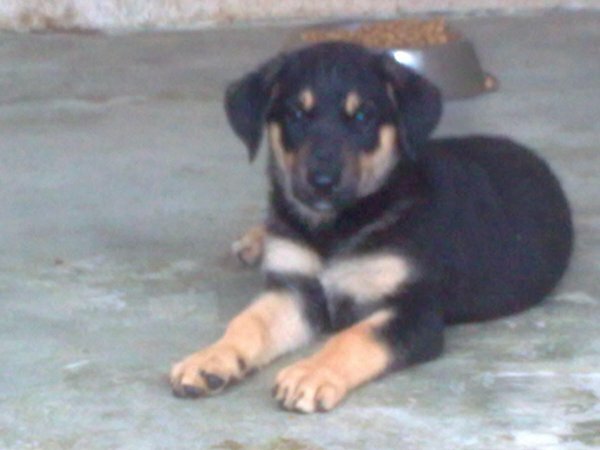 Sometimes they are six or seven weeks old and can be (hopefully) re-homed fairly quickly. But we have the expense of vaccinating and worming them as soon as possible. Sometimes they are very much younger and need careful nursing and feeding. Puppies have been found abandoned in cardboard boxes at only 10 days old, their eyes still shut! Puppy milk is very expensive but we cannot put the puppies to sleep once they are more than a few days old. 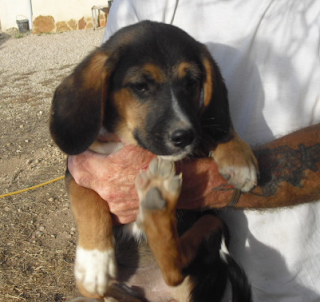 They have to be housed separately from the other dogs, usually in a foster home, until they are old enough to be adopted or move into the refuge. If they are kept with the older dogs they catch Parvo virus and die! This all has to be treated and it all costs money which we then cannot use to buy food! Please help these innocent puppies! They did not ask to be born into a careless world! They do not deserve to die of starvation or disease! They deserve the best start in life we can give them! Every penny goes to the care and feeding of these abandoned dogs! Abuelo has been at the sanctuary for eight years! When he first arrived he had been abandoned by his owners because he had a huge testicular tumour, which hey could not afford to have removed.. He had his operation as soon as he arrived and has been well ever since. Because he is a large dog and hunting type, he has never been chosen for adoption. He is a very placid, laid back dog and would have made a lovely pet for someone but it was not to be. Please donate what you can to help these innocent victims of the financial crisis which is devastating this country! 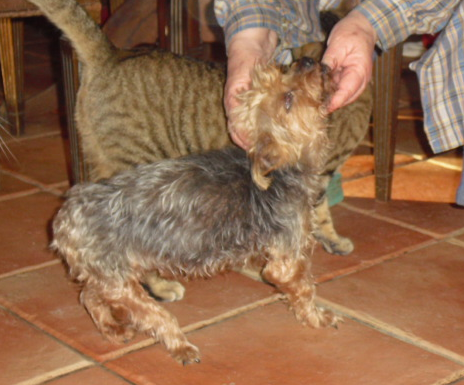 Every penny goes towards the care and feeding of the dogs..
Yorkie was abandoned close to the local vet's surgery, he has had an accident, possibly with a car, at some time in the past which has left him with a stiffened back leg. When he walks his leg is carried up alongside his body. He is not house trained and can never be adopted so he will spend the rest of his life at the sanctuary. He is a very friendly little dog, full of character! 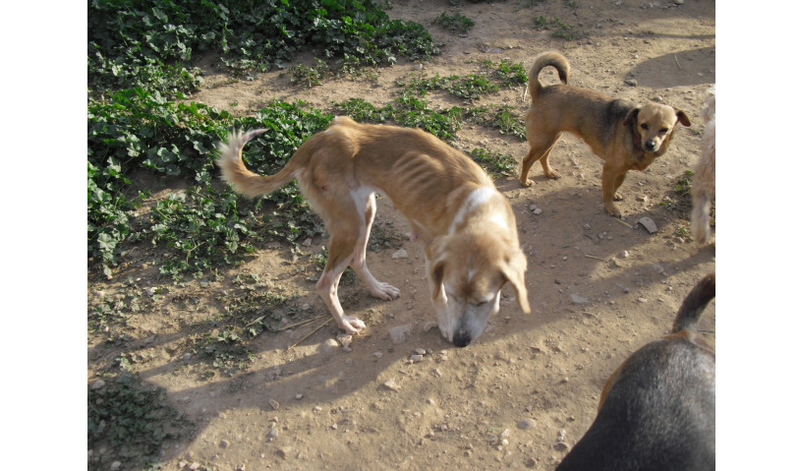 Please donate whatever you can to help feed and care for the dogs here at the sanctuary. Every Penny donated goes towards the care and feeding of these innocent victims. Linda has been with us for several years. 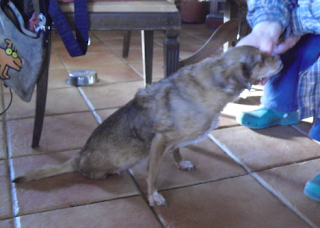 She had a broken back caused by an accident and lost the use of her back legs. Because she dragged her legs behind they got very sore and eventually had to be removed. Linda has wheels which she uses to go outside for a few hours each day, but they also rub her skin and make it sore so her time out is very restricted. She will live out the rest of her life in the refuge. She is a happy little dog nevertheless, and enjoys attention and cuddles! Every Cent donated goes towards food and medical treatment for the dogs in the refuge! 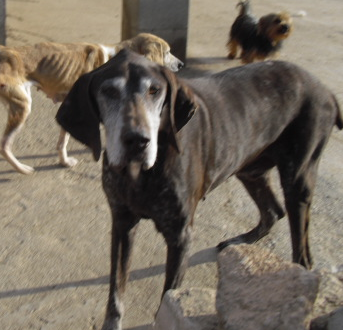 Flaca was found wandering near a rubbish dump a few days ago..
We don't know her story but she is quite old and has Leishmania. This disease is treatable if caught early but Flaca has probably had it for years and will probably not improve. It is an expensive disease to treat so her owners probably couldn't, or wouldn't, pay for the treatment so abandoned her to die. 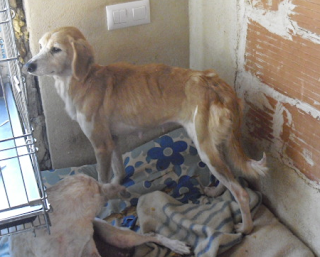 Flaca will be treated to make her more comfortable and she will live out the rest of her life in the refuge.. Please send a donation to help with the cost of her treatment. 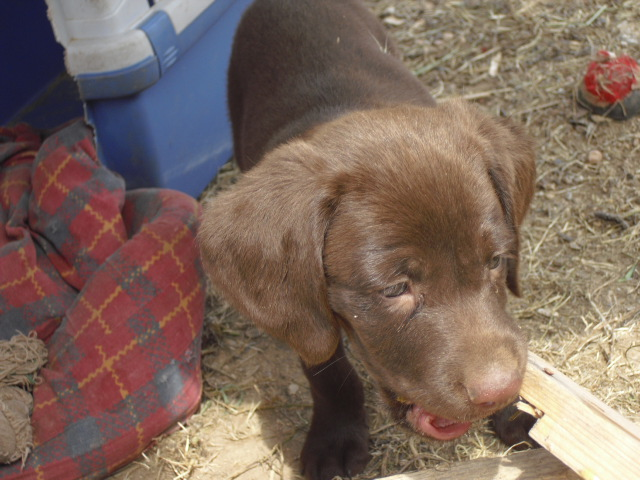 Every penny received goes towards food and medical care for the dogs here at the refuge!